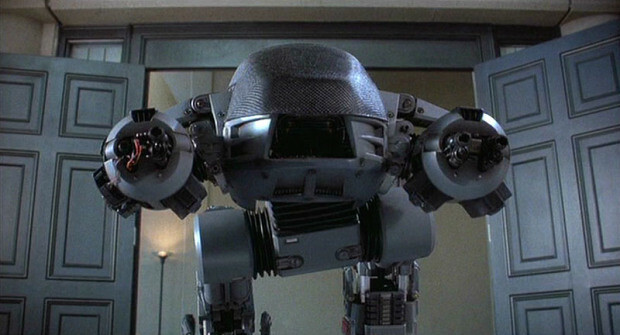 This is ED-209, the killer bad-guy robot from the original Robocop movie. 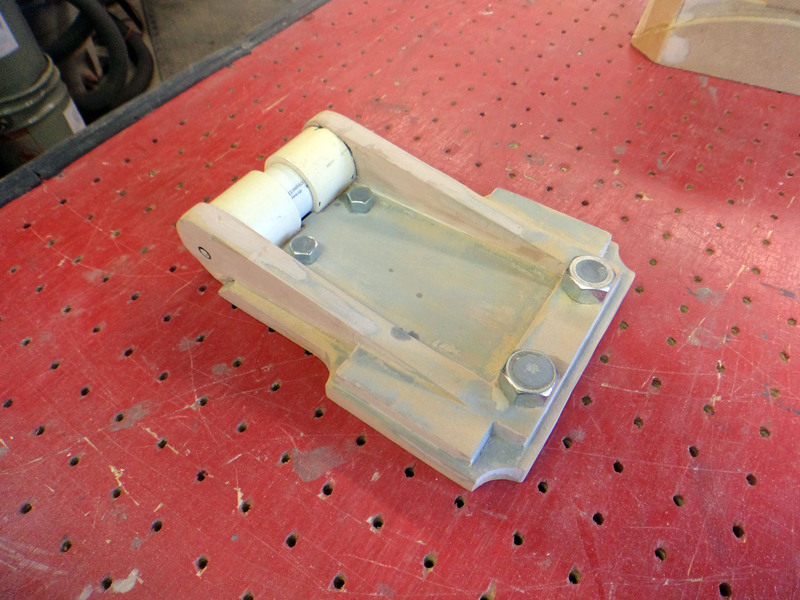 If you’re just now tuning in, be sure to look at the previous articles in the series, where I explain deciding on the scale and knocking together some of the prototype parts, building fiberglass molds to replicate large parts, and making silicone rubber molds to cast small detail parts in urethane resin. 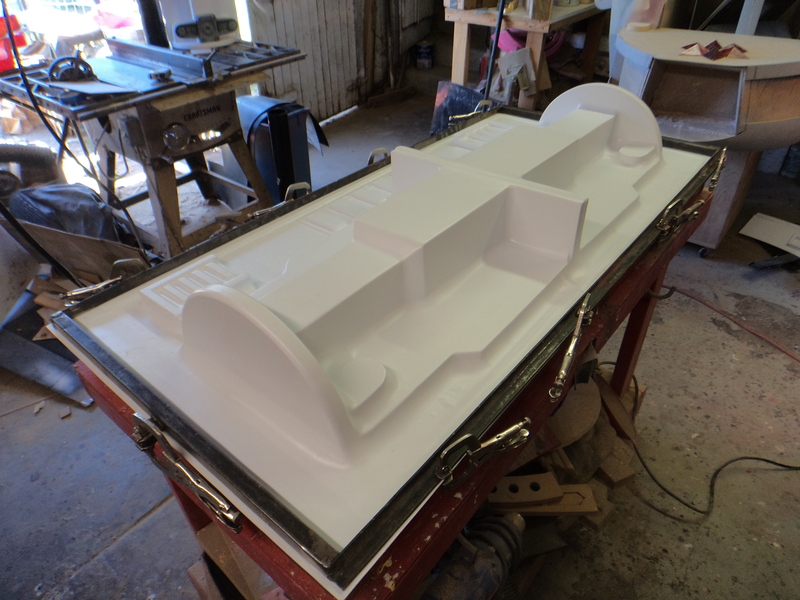 Vacforming, also called “vacuforming,” “vacuum-forming,” or “thermoforming,” is a process in which a sheet of plastic is placed in a frame, heated until it’s stretchy and pliable, then forced over a forming buck (often called a “plug,” “mold,” or “pattern”) until it cools. Once it has cooled and become rigid it will stay in the same shape as the buck even after it’s been removed. If you’ve watched the video above you should have a pretty good idea of how it goes, but here’s a few more details. 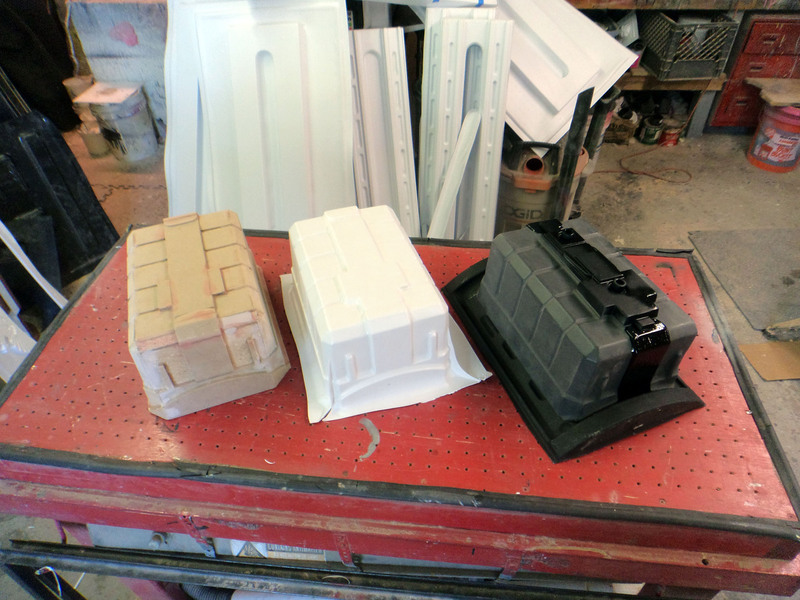 The wide variety of plastics that can be formed in this manner make it an amazingly versatile fabrication method. Vacformed parts can be found everywhere; unless you live under a rock in a dark corner of an all-organic isolationist nature preserve, you come into contact with them every day. They include everything from car dashboards to the thin styrene lids you see on disposable coffee cups. 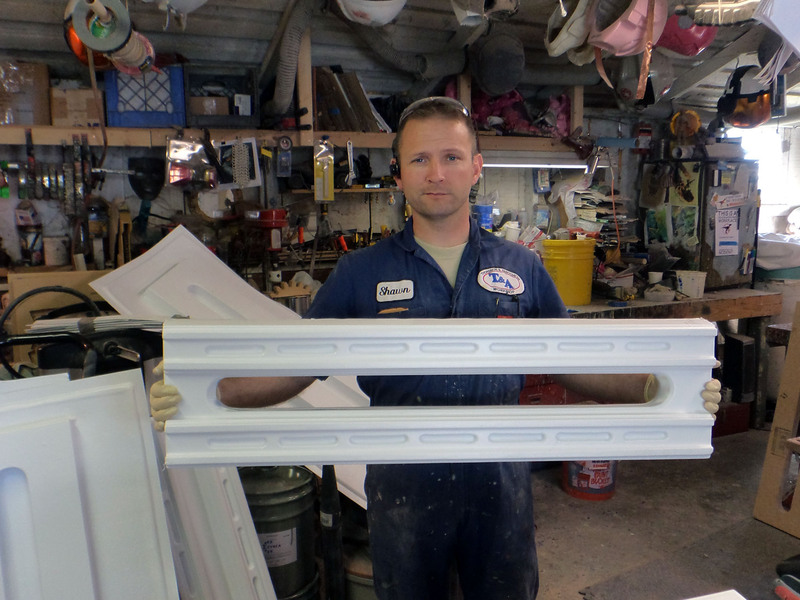 Even gun turret windows on World War II aircraft were often made using this method. 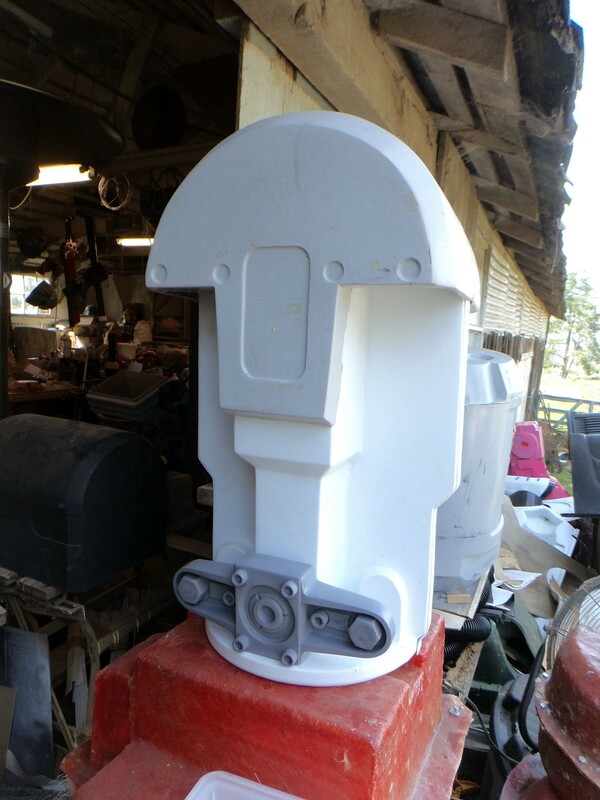 The forming bucks can be made of wood or metal or molded gypsum products, and the equipment needed can be bought or just as easily homemade. In short, vacforming is a valuable skill to add to your repertoire. The main disadvantage to vacforming is that it’s not suitable for making parts that have “undercuts” that will lock the plug into the formed part. The best way to describe this is graphically, so let’s look at a pair of examples. This strip of ridge details will go on the back of ED’s heel. Easy. It’s a fairly shallow piece that has no undercuts or negative angles that the sheet of plastic will wrap around and lock onto. 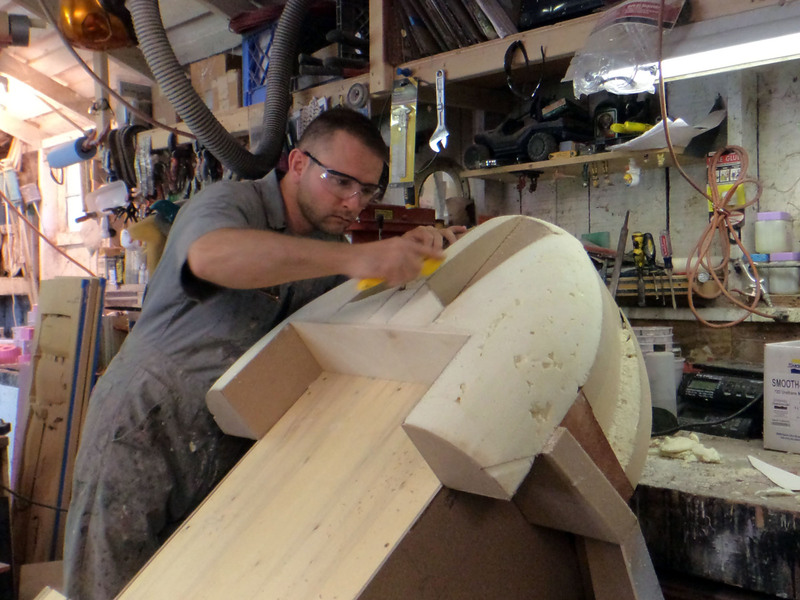 Once the plastic has cooled, the forming buck will practically fall out of the bottom. Rope not included in final robot. 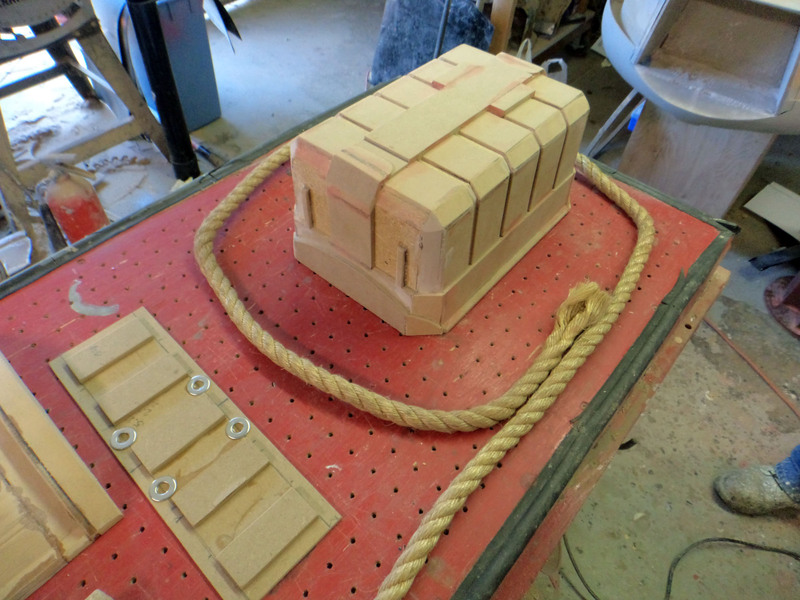 This is one of the ammo boxes that will be attached to the gun pods. 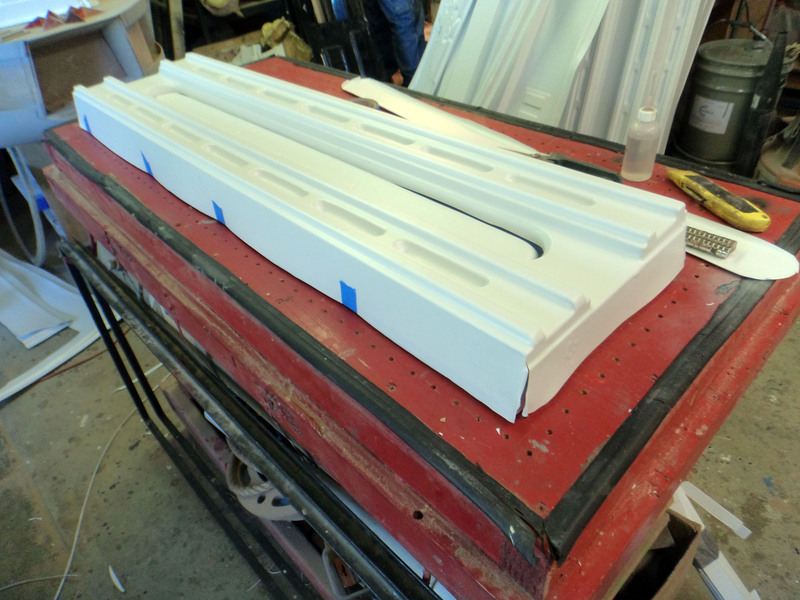 It’s a bit on the tall side and the sides are nearly vertical, so there will be webbing where the plastic tries to stretch around the corners, but there are no undercuts and with a bit of coaxing the formed part should slide off of the forming buck without breaking. So it’ll work. This is the little locking flap that goes at the top end of the lower leg. 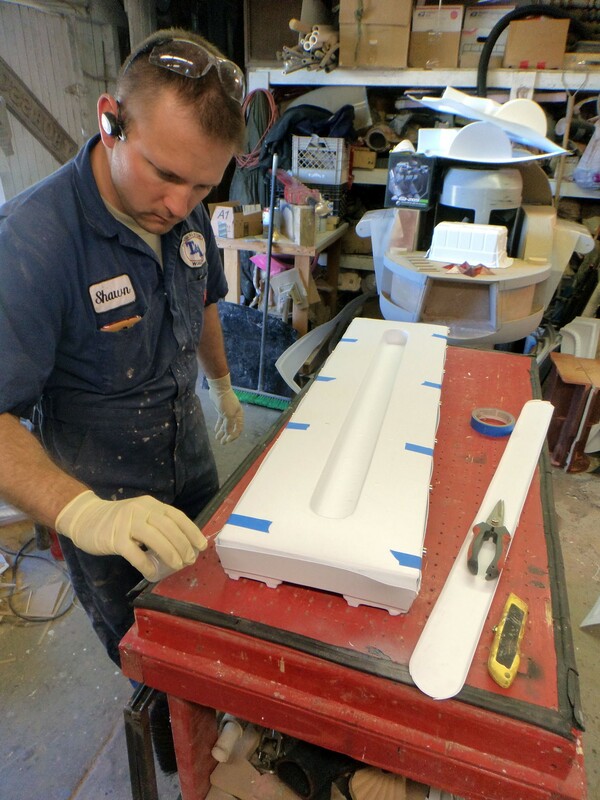 Once the plastic sheet has cooled around this shape, it’ll lock into place and something will have to break in order to remove the forming buck from the formed part. 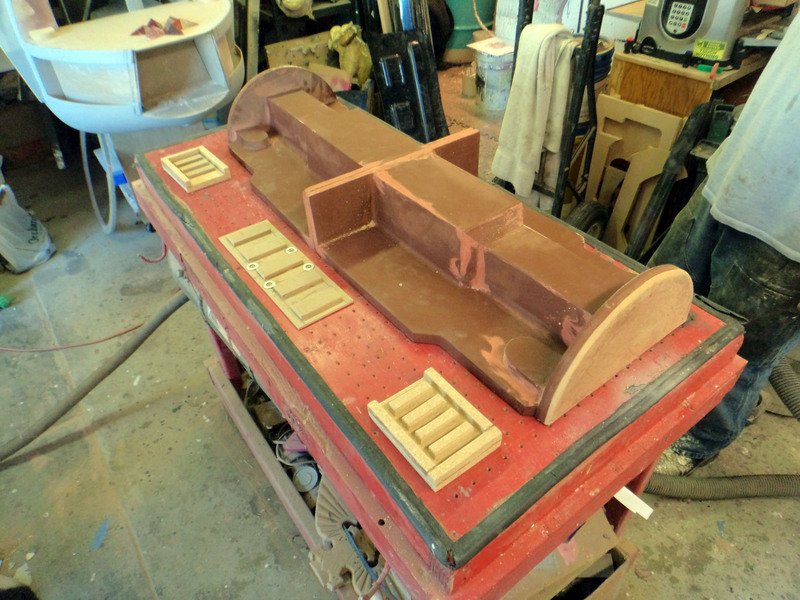 I could mitigate this by tweaking the design a bit, filling in the undercuts and making the raised details as separate castings, but in this case I’ll just skip all that trouble and make a silicone mold to cast the part in resin. See? Right there. In the middle of the clutter. 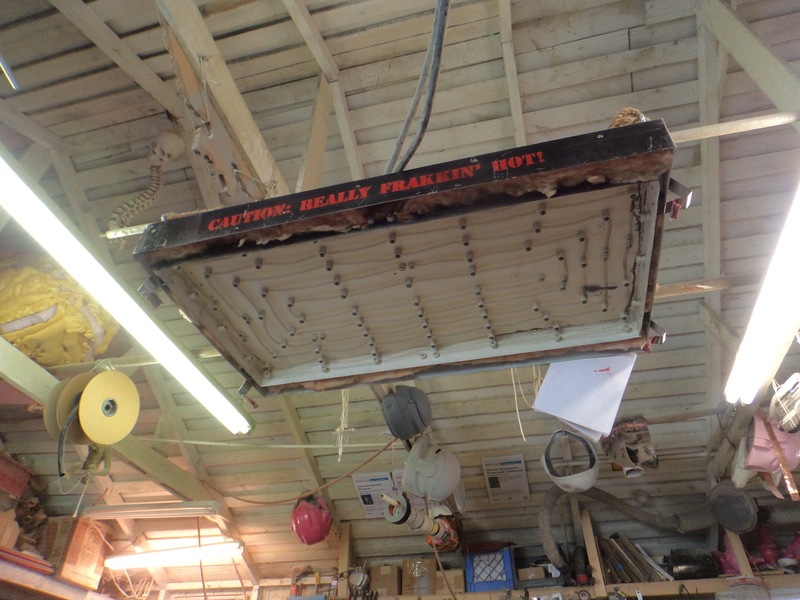 The “oven” is essentially a series of nichrome wire heating elements that run on 220V in a double-walled steel box with hooks on each end to catch the the frame that holds the plastic. It’s not especially pretty, but it gets the job done. Pictured: an insurance underwriter’s worst nightmare. 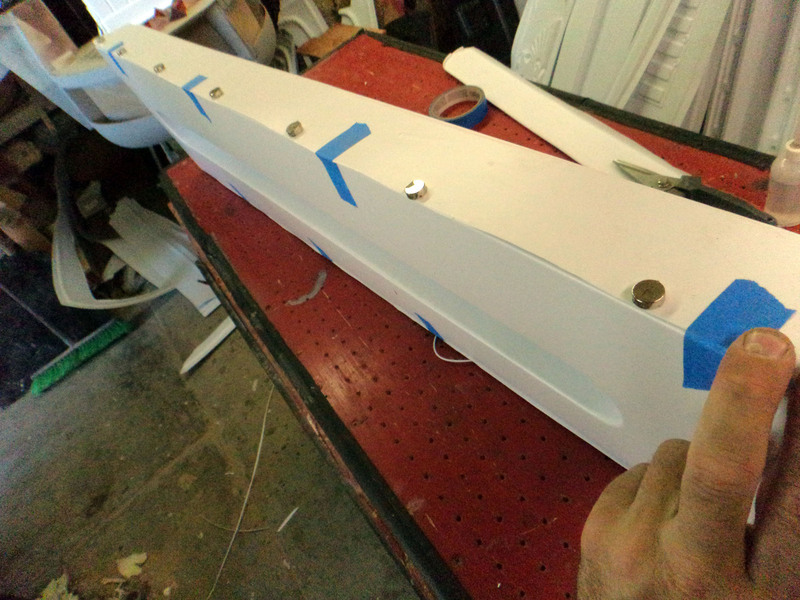 To use it, I just clamp a sheet of plastic into the frame, hang the frame from the oven, plug it in, and wait. When the plastic is warm enough to start sagging, I can never resist the urge to poke it. 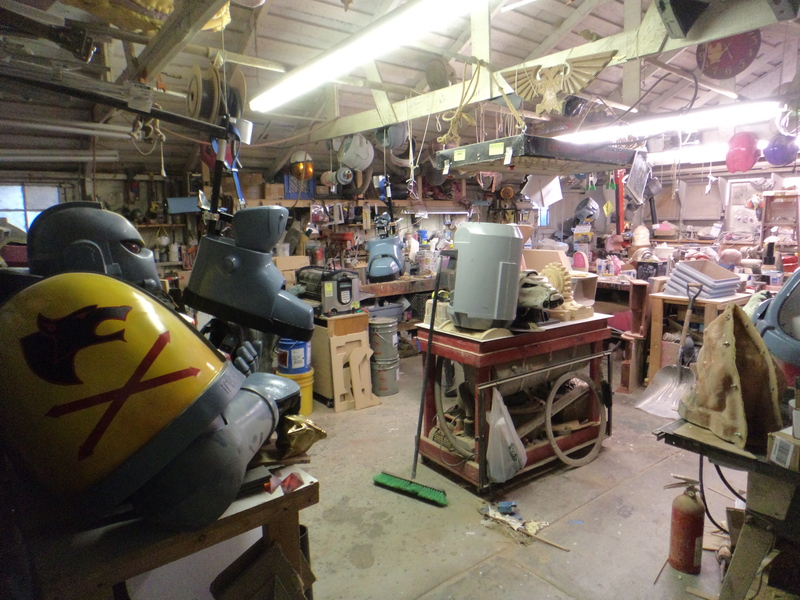 …And lo there were borne unto us a new batch of killer robot parts. 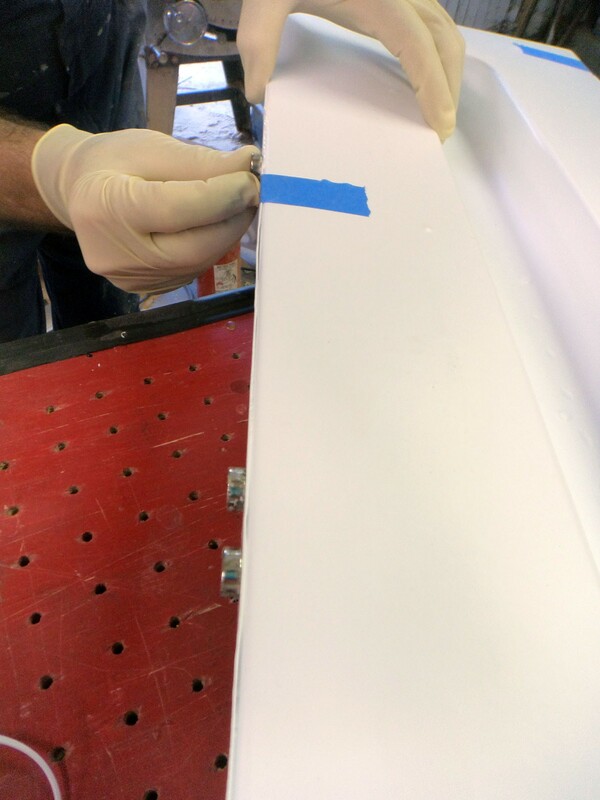 Once the plastic sheet has cooled, it’s just a question of quickly trimming the waste plastic off of the formed parts, gluing them together, and adding some detail parts. 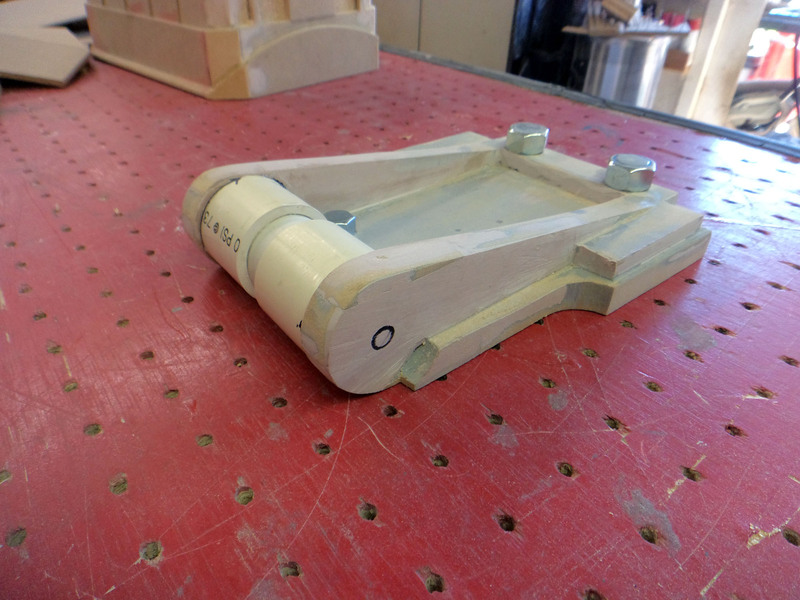 It’s just a few faux hydraulic rams away from being half a robot leg. 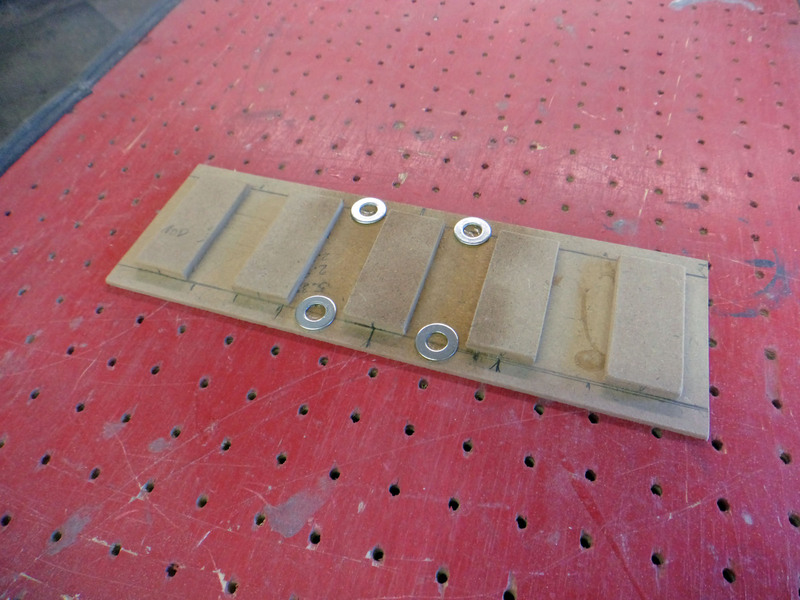 There are all sorts of different ways to attach thin plastic parts together. 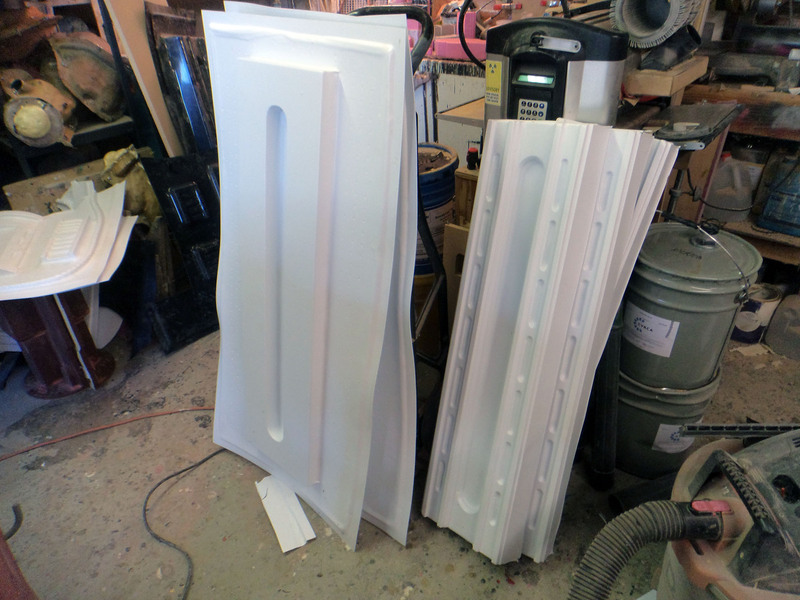 Since these pieces were pulled in sheet styrene, I can get good, strong joints by using a solvent cement. 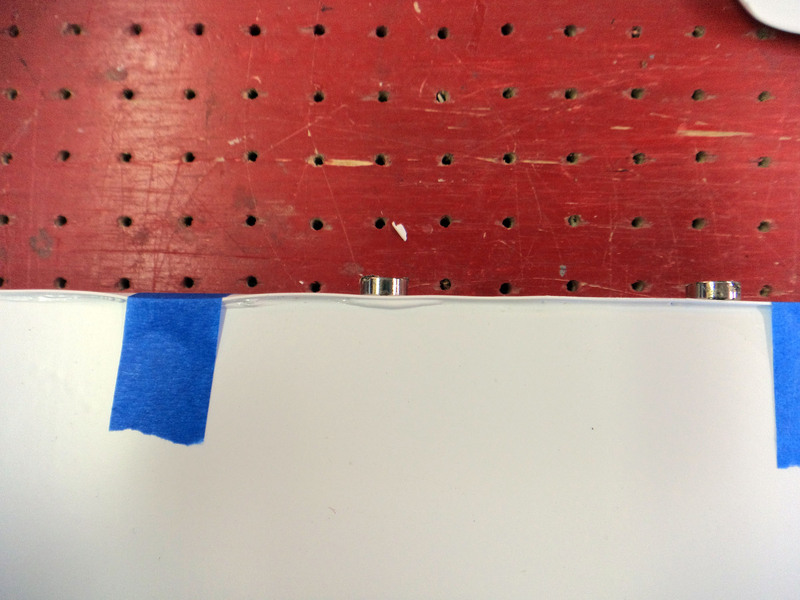 In essence, the solvent dissolves a bit of the plastic and the parts are pressed together. 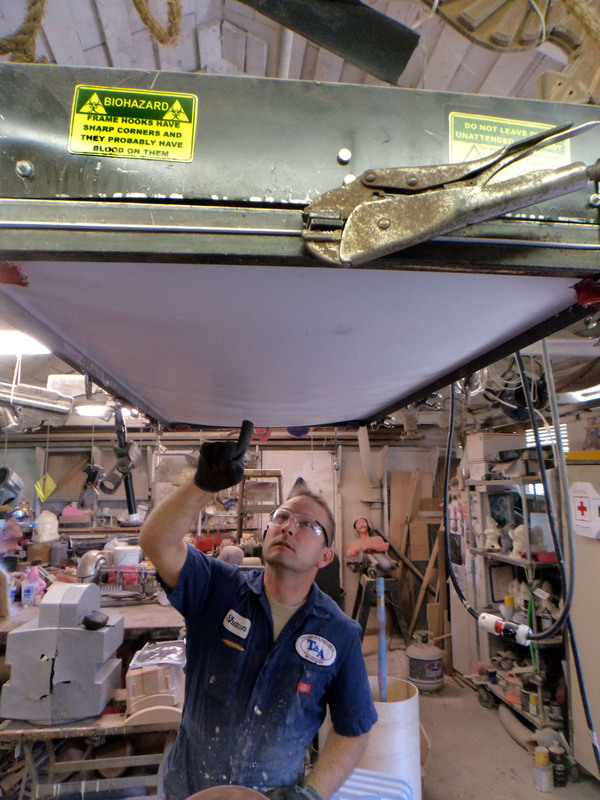 When the solvents flash off, the solids are left behind and the parts are effectively welded together. Masking tape solves so many of life’s problems. The man is clearly a genius. Now I keep a large stock of rare-earth magnets on hand for this exact purpose. It’s as though the gods gave lodestone to ancient man just so we could one day have an easier way to hold together our costume armor parts while the glue dries. 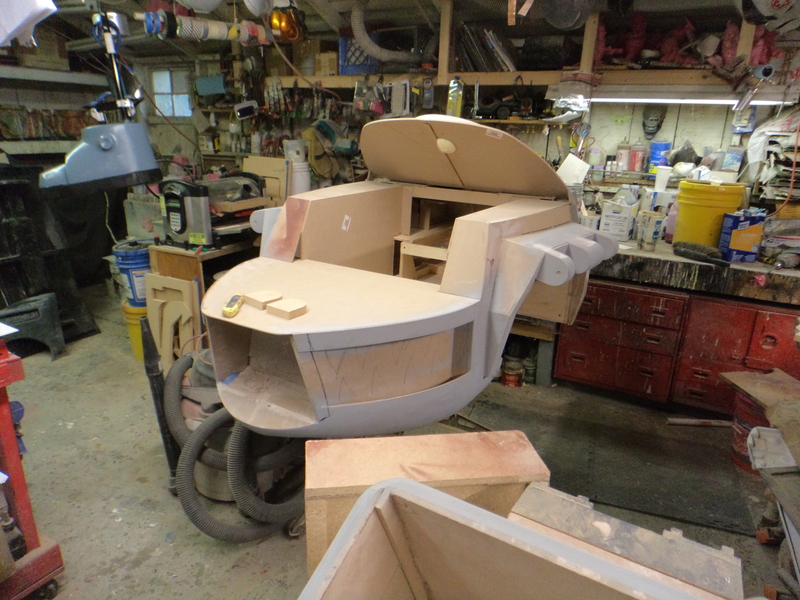 With everything clamped securely in place, I use a syringe bottle to drip a bit of solvent along the top of the seam. There’s no sound, so I have to say “SPLORCH” every time to make it feel right. I usually take it as a good sign when a bead of squishy plastic squeezes out and stays out. After a few minutes of drying time, the two parts have become one and the seams are essentially as strong as any other area. 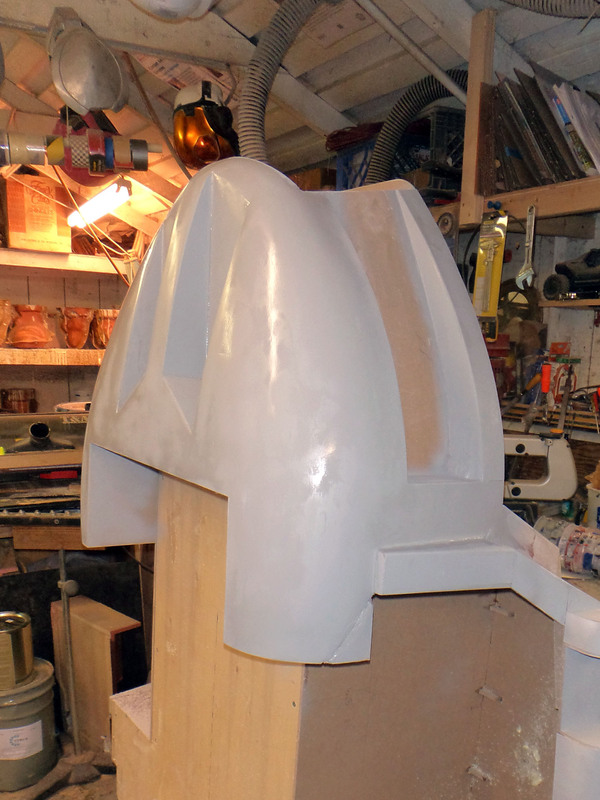 Left to Right, forming buck, raw formed part, trimmed and painted part. 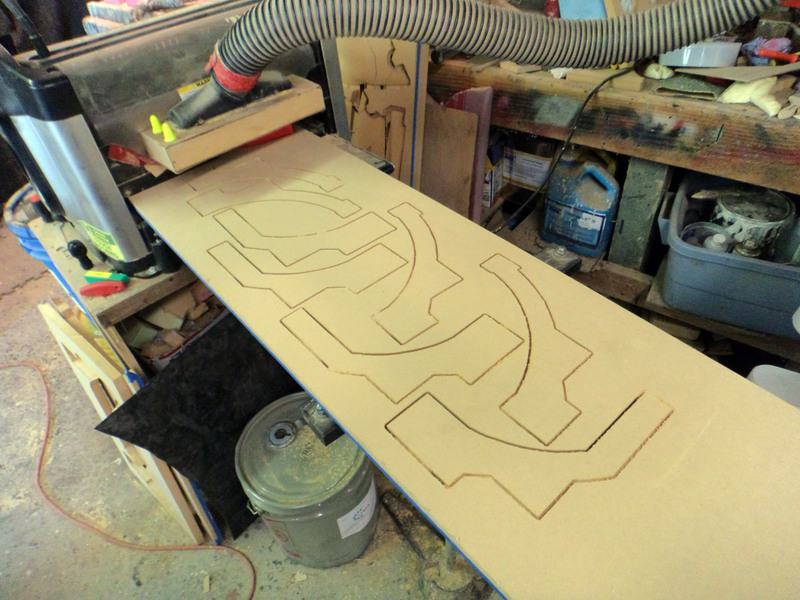 Armpit and elbow prototypes taking shape. 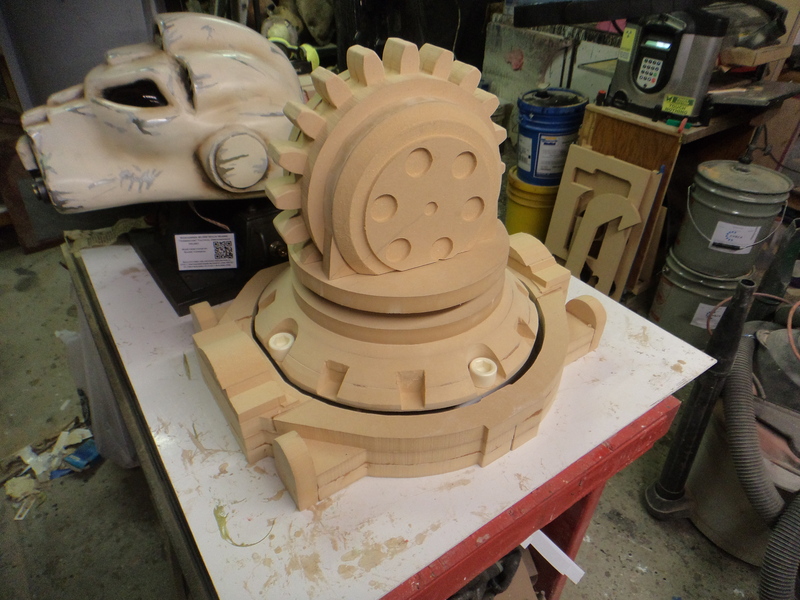 Nearly done building the largest, most complex part I’ve ever had to mold. No pressure. As always, I’m uploading photos almost daily to the MAKE Flickr pool, so if you’d like to see the latest pics of what I’ve got together, be sure to check it out. With only 33 days until I have to load the finished prop onto a truck, there’s more to come (provided my head doesn’t explode in the meantime).